Caving experiences can be tailored to suit the abilities of most groups. While most of the exploring in caves is done via a leisurely glide through the cavern in a boat with perhaps 5-8 people, there do exist chances for more exhilarating "black water rafting". This experience, complete with wet suits and rubber tubes, has one gripping tightly as they tumble along rapid underground streams. 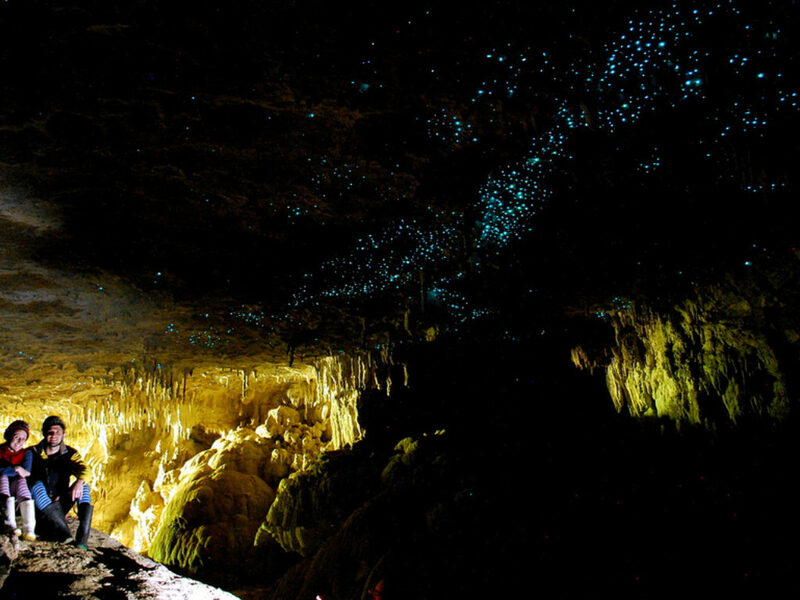 One of the natural wonders of New Zealand are glow-worms. In reality the larvae of midges, these small creatures live on wet banks and overhangs. The tiny lights look like stars on the roof of the cave and bring a unique experience to all ages.